Through the front door and porch entrance is then into the lounge with log burner and exposed beams and views towards Scafell. A door leads to the utility room, downstairs WC and kitchen. Stairs lead from the lounge to a landing, off which there are the three bedrooms. The master is a double, the second can be configured as either a double or a twin (please confirm when booking how you would like it set up) and the third is a twin. There is also a bathroom. Most rooms have exposed beams and all are furnished with care and thought. Most rooms have views towards Scafell, Bow Fell and Crinkle Craggs. 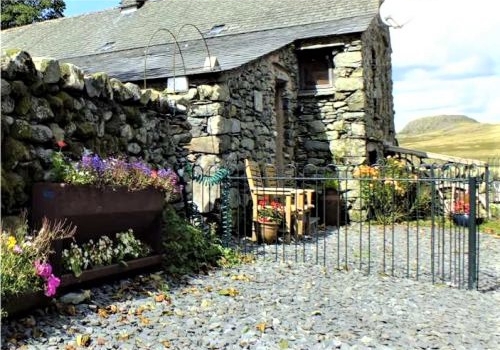 The sunnier garden is to the front of the property and there is a garden to the rear where there are panoramic views across Birker Fell towards Scafell from the raised patio. Our automated availability and booking system for The Cottage is below, but please contact us if you have any questions. We're here to help! To see the available accommodation, please select your arrival and departure dates and guest numbers. Prices are reduced for 2 persons out of the school holiday periods. How do the Cottages Differ? The Cottage has 3 bedrooms compared to the other three cottages which are designed for a couple. On saying that, outside of the school holidays, the Cottage is quite suitable for a couple offering a little more space. In each cottage we provide a Welcome Folder which gives general information for your stay and a more detailed description of what you can expect to find at the Bothy and Woodend. We have provided a PDF version for you but please don't feel that you need to print this out. 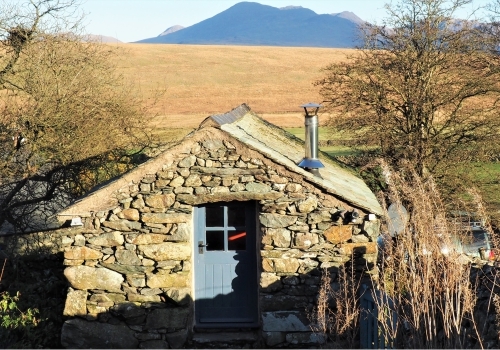 Self contained detached "upside down" accommodation for two with magnificent views of Scafell Pike. 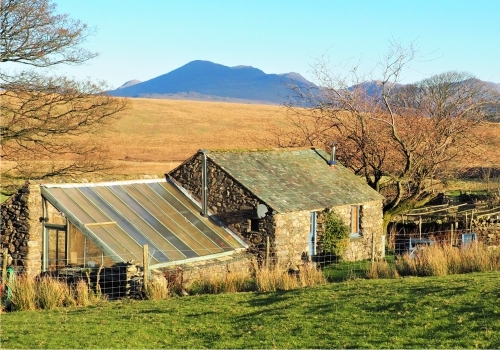 Self contained detached studio accommodation for two facing due south up the fell. Adjoining the barn, self contained accommodation for two with views towards the mountains.